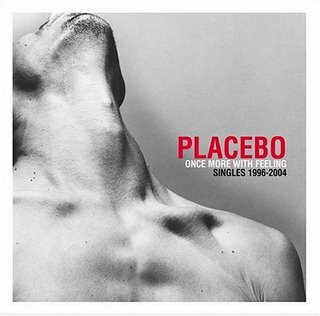 I became acquainted with Placebo quite recently. I caught “Follow The Cops Back Home” on the radio and I have to say that it sparked my interest in a vibrant way indeed. Last year (2008) I finally made up my mind and purchased this “Singles” collection. 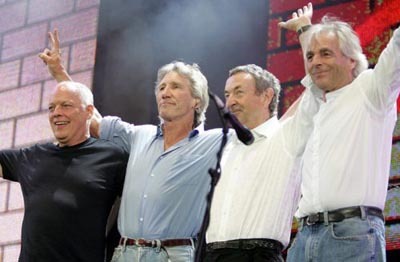 It covers the years 1996 – 2004, and a new song named “Twenty Years” is included for collectors. Placebo is a band of its own. They have a distinctive image themselves (which I don’t like but I respect) and they come up with a sonic landscape where glam and punk structures are placed in the same plane without ever cancelling each other out. No one can deny the heights that songs like “36 Degrees”, “Special Needs” and (most notably) “Every You Every Me” take you to, if only because they act as reminders that the higher a person climbs then the longer he or she will fall. Their music makes me think of a sort of jaded transmission that actually translates into emotional release for the listener when he connects with the songs. Listening to the album in one sitting feels a little monotonous to me, although when the aforementioned tunes and others like the hits “Nancy Boy” and “Pure Morning” come around it is impossible not to listen. It is impossible not to shudder a little, too. These compositions tell the truth in a way that leaves not even a small quadrangle for the littlest lie. Reality bites here. I don’t feel inclined to buy more Placebo albums because I am under the impression that they always operate within the boundaries and thematic range assayed here, and also because their studio albums are nowhere to be found where I live. Don’t get me wrong, I would never call them a “bad” band. I just don’t feel there will be many surprises in store. Can somebody who has had access to their full discography provide us with his own insight? I am really looking forwards to that. What a great theme. I stumbled into your theme when I was searching for movies and I must say I really enjoyed your post. Will be back to check more out in the future!